darkSpyro - Spyro and Skylanders Forum - The Legend of Spyro: Dawn of the Dragon - Cynder's Fire Element? 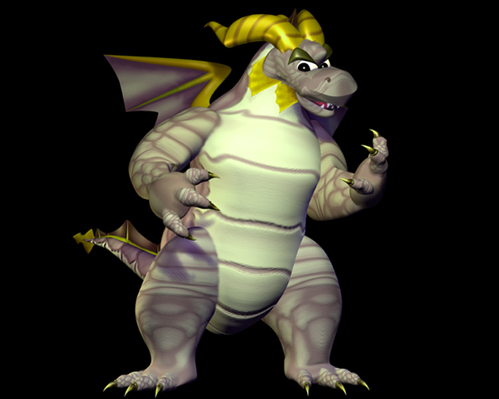 darkSpyro - Spyro and Skylanders Forum > The Legend of Spyro: Dawn of the Dragon > Cynder's Fire Element? So we all know that Cynder has 4 elements - Poison, Shadow, Fear, and Wind (and Fury if you want to count that). But what about Fire? Remember when you fight her in ANB? She would try to torch you, and there was a cutscene or two with the scrolls that showed her breathing fire, I believe. I wonder where it went. Popular fan theory is that she only had fire as Dark Cynder as a corruption of the element thanks to Malefor. People called it shadow fire. That's strange, especially since she obtained and kept these other elements. It would be cool if her shadow breath on DotD was more fire-like then. Cynder's natural element is wind (she's cloudy gray/blue, wind is the only non-evil power she has) and her other three powers are just a holdover from having been under Malefor's direct influence for so many years. She never had the ability to breathe fire on her own because it's not her element. The shadow fire was just something she could only do at her most wickedly powerful, i.e., as Dark Cynder, and was taken away from her with the bulk of her evil powers in that form. Poison, shadow, and fear can all be seen as somewhat natural extensions of her wind power or an outright corruption of her body and mind that may fade as she grows older. That's just my ideas on it, anyway. Fire seems to be the province specifically of fire dragons (Ignitus) and purple dragons (Spyro and Malefor), too. It's not something a non-purple or non-fire dragon can do on her own. I think it would have been awesome if this 'shadow fire' could have been added somehow in DotD, but you're right - she's not a purple dragon or a fire dragon. Maybe her fire breath turned to fear? Cynder is an Undead element, not a Fire element. This isn't Skylanders, Clay. This is from The Legend of Spyro series, where Cynder originally came from. She had the elements of Poison, Fear, Wind, and Shadow in the Legend of Spyro trilogy. It could be just the fault of DOTD. The 'shadow fire' breath seems to be the only element Cynder ever used in ANB, before the company changed. Well I think it was anyway. I think this may indicate that this element may have been the only element she's supposed to wield, but since the third one brought a co-op gimmick they had to think of an excuse to give her three more elements and hence shoe-horned in wind, fear and poison. And named that one shadow. But to be honest I believe Dark Cynder was actually breathing a corrupted form of fire breath or something. Like, fire breath but a different form of it because she's evil. And maybe since, like what I said before, they had to give her more elements due to co-op reasons, they couldn't make her have fire too and just gave her four new elements, using her 'exposer to darkness' as an excuse to do so. or maybe they just forgot she had a weird looking element in ANB. I dunno I can't tell what they were thinking.